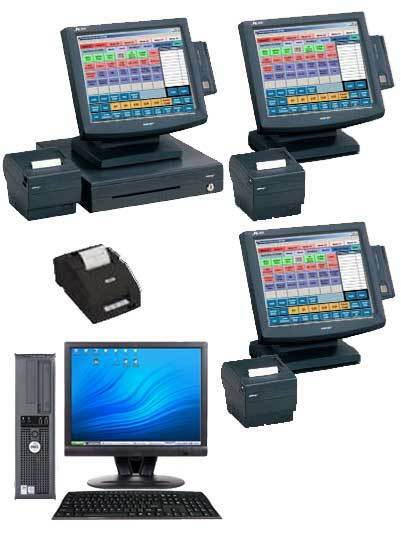 This system comes with the Restaurant Professional software installed and all hardware configured. Plug in the cables, turn it on, and you are ready to get started! The included printed manuals and BPA Video Training CD's will help you get online quickly! Use the Video Training CD's to train your employees! All New Hardware carries a manufacturer's parts and labor warranty. Dell PC's carry a 3 Year on-site warranty. Business Plus Accounting Restaurant Professional 8.0 is a complete Restaurant Point of Sale System built on top of a complete business accounting system. This means in addition to running your restaurant floor, BPA Restaurant Professional can help you track your inventory, your accounts receivable, your accounts payable, it can help you write checks and balance your bank account. It can run your payroll, track maintenance on your equipment, and provide all of your general ledger and accounting reports. It also provides over 260 business reports covering all areas of your business! Not only do you receive the Restaurant Point of Sale Software but you also receive Point of Sale Modules to run gift stores, delis, and catering. See description of software features below. * The software includes a security events module that will interface with your video security cameras. You can print reports and then view the events on your security videos. Security reports show items that have been removed, tickets that have been voided, items that have been comp'ed, discounted items, coupons used and other user definable security events. * The password system allows you to specify which software modules and functions each employee has access to and creates a log entry each time a password is entered so you can track what your employees are doing. BPA Restaurant Professional 8.0 is built on our Business Plus Accounting software package, and includes a complete set of business and accounting tools fully integrated with the restaurant point of sale. * Supports Hold And Fire To Aid In Timely Cooking. * Supports Scanning of Bar Code SKUs. * Supports Modifing Of Items And Sides Without Re-entry. * Supports Duplicate Item Button. * Supports Charging a Service Fee For Special Situations. * Supports On Screen Keyboard. * Supports Tracking Of Loaned Equipment (Typical Of Catering). * Supports 600+ Drink Recipes (Optional). * Allows Merging of Two Or More Tables. * Supports Hand Held PCs For At The Table Orders (Call For Hand Held PCs Pricing). * Allows Excluding of Items From Gratuity. * Allows Excluding of Items From Meal Discounts. * Allows Enabling of Dine In / Dine Out Option On Quick Sales. * Supports Automatic Printing of the Cook's Ticket When An Order Is Cashed Out. * Allows Requiring of a Manager Password When Manually Opening The Cash Drawer. * Tracks Cash Drawer Payouts. * Supports Inactivity Auto Server Log Out. * Allows Reviewing of a Table Order While at the POS Screen. * Supports Arranging Of Tables Like Your Restaurant Layout. * Allows Server To Print All Open Table Receipts At One Time. * Allows Servers to Print & Reprint Cook's Tickets. * Supports "Nontaxable" Coupon Option To Calcutale Tax Based On Full Value of Items Before Dicsount. * Supports Scanning of SKUs Or UPCs. * Allows Adding To Gift Card Balances. * Includes Restaurant "Z Reports". * Supports Automatically Print the Cook's Ticket When An Order Is Cashed Out. * Warns Server When An Item Has Not Been Printed To The Cook's Printer. * Warns Servers When Clocking Out With Open Tables. * Supports Allowing Item Removal Until Item Has Been Printed At Cook's Printer. * Allows Assigning a Cash Drawer Number To a Server Station. * Allows Assigning Of Menu Items By Table Seat Number. * Supports Auto Log Out Of Server Due To Inactivity. * Supports Large Text On Invoice And Cood's Tickets. * Supports "Item Quantity Button". * Supports Table Layout Arrangements In Table Areas. * Cook's tickets include all cooking instructions for items requiring cooking instructions. * Supports 941 Deduction Totals. * Supports Payroll Ability To Define Minimum Earnings For State Tax Liability. * Supports Payroll Automated Paid Leave Tracking. * Supports Payroll Direct Deposit Functionality. * BPA Restaurant Delivery Professional.